Club Penguin Cheats by Mimo777 Club Penguin Cheats by Mimo777: New Club Penguin April 2010 Clothing Catalog Sweet Cheats! New Club Penguin April 2010 Clothing Catalog Sweet Cheats! 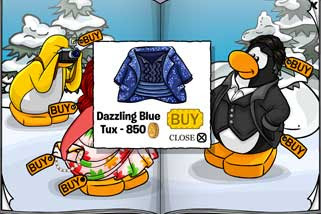 The hidden Club Penguin Cheats in the Penguin Style Clothing Catalog for April 2010 are here! Step 6. 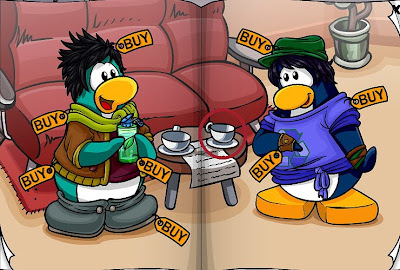 Now click on the coffee cups. Step 8. Now click on the pink square. Step 10. 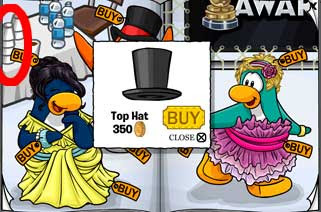 Now click on the "G" in Penguin. 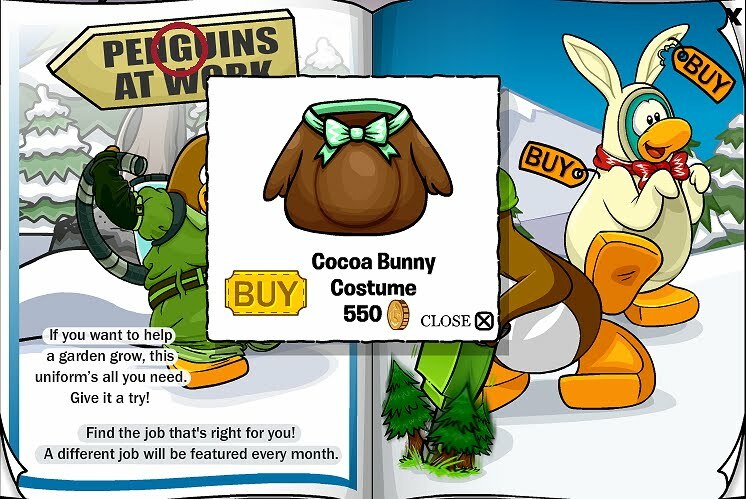 You now have the Cocoa Bunny Costume! Step 11. Stay on the 5th page. Step 12. Now click on the trees by the drill. 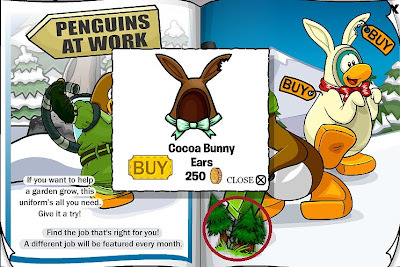 You now have the Cocoa Bunny Ears! Step 13. Click to the 6th page. Step 14. Now click on the water bottle. Step 16. Now click on the paper cups. Step 17. Click to the 7th page. Step 18. 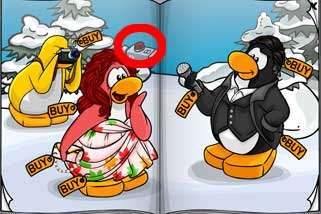 Now click on the red light. Step 19. Click to the 8th page. Step 20. Now click on the tree top, the mountain top and the other tree top. Step 21. 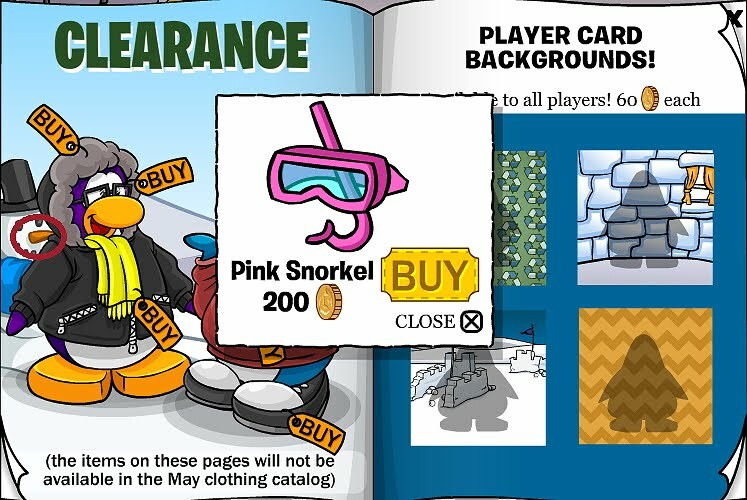 Click to the 10th page. Step 22. Now click on the Snowman's Nose. Step 24. 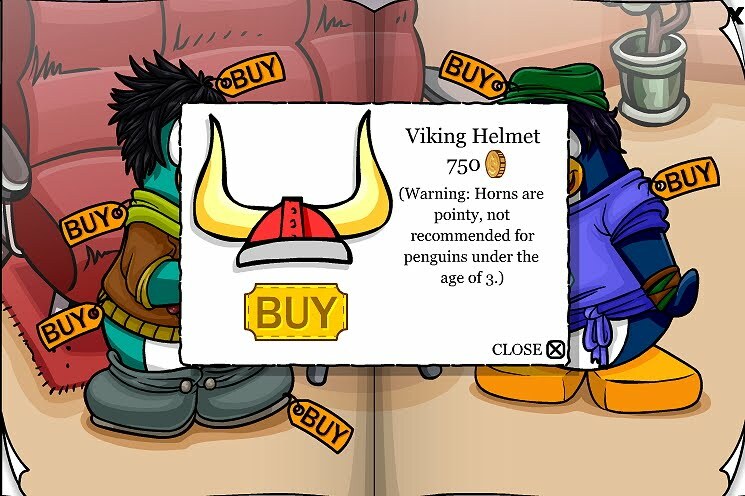 Now click on the Snowman's Hat. 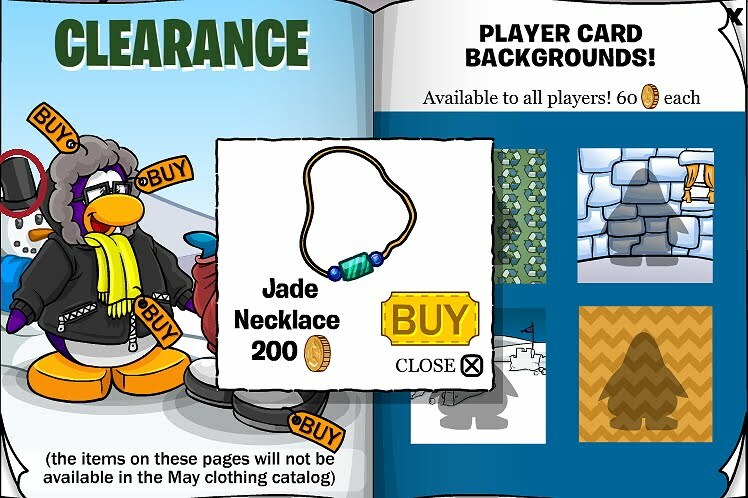 You have found the Jade Necklace! Step 26. 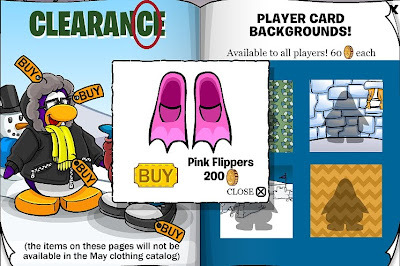 Now click on the second "C" in Clearance. Cool we are going hippie and green! LOL! hey mimo i really like that catalog that cp put in and it is for hippies and easter woot! 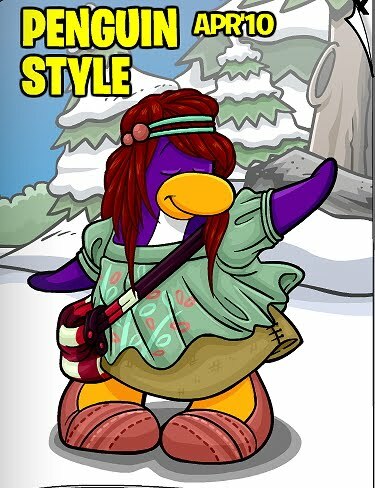 Anonymous and Cookie3303, It's not like "CP is going hippie!" It is because earth day is coming up. 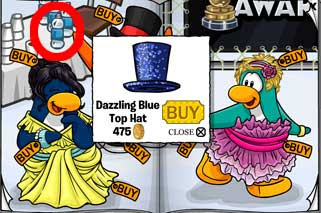 That is very religious, like Toysgoneby said, because we don't all live in this earth... I don't! Hey Mimo. Just wanted to let u kno that those 'paint ur own shirt' shirts changed. There are 2 new designs and a new color. Hope u post it, cuz I don't think ppl kno. If u do, plz give me credit. 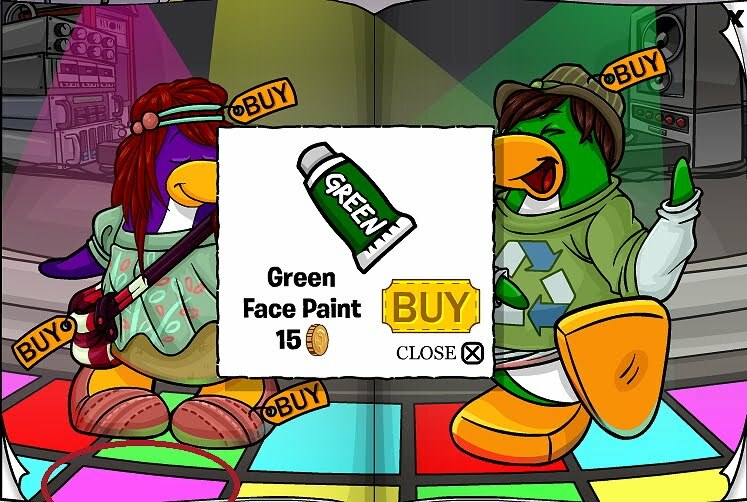 I want the facepaint so bad but im a nonmember! Anonymous, the fish catalog is the secret agent catalog. Hey! You're blog is so sweet! 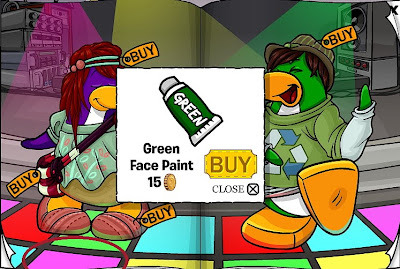 Where can I find blue and red face paints? Club penguin used one of my ideas i emailed them about things tht could go in the next catalog and they put it in its a secret item! I can't stand this. I'm never going green and i will never obsess over the Earth! 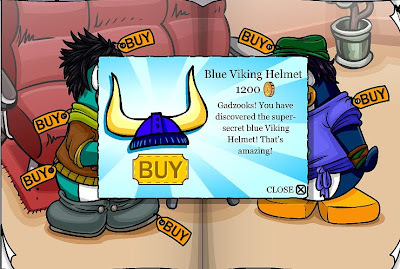 GEEZ club penguin! i think the fish catolog is fine and these cheats rock thx mimo! i love the new catolog thx mimo your sites the best ps.this is my second comment! woot!